When I lived in Rome I drank bad bottle after bad bottle of wine. Up until very recently the wine culture in Rome was limited to crisp white wines with no adoring qualities. Restaurateurs hardly cared to stock their cellars with interesting pours, and the big producers from the Castelli Romani flooded the eternal city with very low quality wine. I also remember taking a very entertaining train ride to Marino, in the heart of the Frascati wine region, for their annual “sagra dell’uva,” which was an excuse for seemingly every Italian living in and around Rome to get outrageously drunk on terrible wine. No one seemed to care however, as life couldn’t have been better for anyone at the festival, with wine flowing out of the cities principal fountain during that special day. It is said that when switching the lines one year, a city official mistakenly sent wine into people’s houses instead. Suddenly citizens of Marino where bathing and washing their dishes in wine. Viva l’Italia! The game is finally changing in Rome, however, as wine has become an integral part of the equation for young restaurateurs in particular. I can’t make any promises for changes to the festival, but in Italy, things happen slowly. 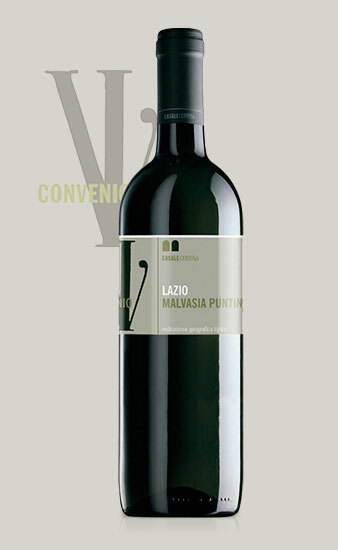 Now on a menu in Rome you may come across a Malvasia Puntinata on a list a small producers like Casale Certosa. This is the side of Lazio I want to introduce you to. Yes, those awful Frascati wines aren’t going away any time soon, but now there is a crop of small producers making some very interesting wines in the hills around Rome. This is news to many of you I am sure, as Lazio might as well be the New Jersey of Italy when it comes to wine. Just the thought of these wines makes some cringe. In the Castelli Romani (which is a set of towns southeast of Rome, they are the south shore of MA to the city of Rome..but with much older buildings) the wines of Frascati have been made for centuries. 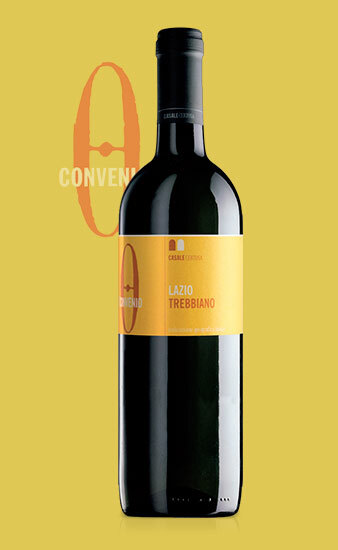 This constitutes a blend of Malvasia (Candia or Puntinata), Bellone, Greco, and Trebbiano (Giallo or Toscano). Today, to differentiate themselves from the mess that is Frascati, smaller producers have taken to two local white varietals: Malvasia Puntinata and Trebbiano Giallo, both of which are native to Lazio and specifically the Castelli. Casale Certosa, a winery that has been around since the 60’s, has helped lead this charge. 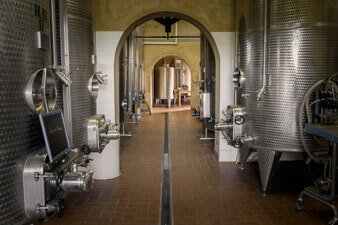 The winery is run by two brothers, Alberto and Fausto, who took the reigns from their father. In 2000, they started officially bottling their family wines and reconstructed their old family home (casale) as well as the monastery (certosa) next door. 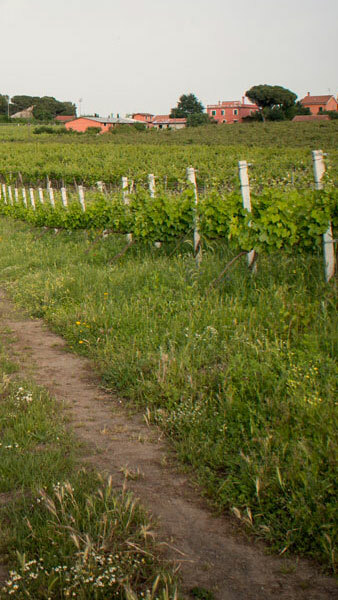 The two brothers farm 8 hectares of land, which is so much more than just grape vineyards. They grow an incredible diversity of fruits and vegetables on the very fertile volcanic, chalky soils. The soil is key to producing wines with great acidity. The winery is organically certified and since 2011 has begun taking steps towards biodynamic farming. The important thing to understand about Rome is the influence from the ocean, and at Il Casale, it is no different. Warm breezes from the ocean bring salty air, a notable characteristic in these wines. 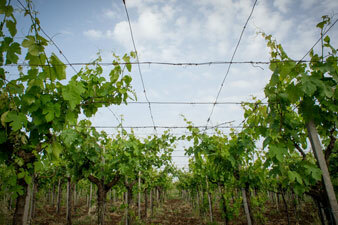 The winery is essentially at sea level and is located just a few miles off the ring road that circles around Rome. The average age of their vines is around 20 years and the vineyard is south-southwest facing. There are 3,500 plants per hectare planted with yields of around 50 tons per acre. In total, their production is around 30,000 bottles. The wines all undergo spontaneous fermentation and there is minimal use of sulfur. What strikes me about their wines despite this raw side to them is that they are very clean, fresh and are true to the varietals they produce. Compared to the wines most are accustomed to drinking from the Castelli, this is an eye opening discovery. A mineral driven white with white flowers and almost tropical fruits. If this isn’t a perfect wine for spaghetti alle vongole I don’t know what is. It pairs well with other roman dishes as well like Cacio e pepe and even fried baccala, something you must eat when in Rome! Hand harvested in mid September, followed by spontaneous fermentation lasting no more than a week with the control of temperature. The wine then ages in stainless steel before bottling. The wine spends a month in the bottle before being released. Malvasia Puntinata is native to the “Castelli Romani” just outside of Rome and has been used historically in Frascati blends along with Trebbiano. In an effort to remove themselves from this mass produced denomination, this is a truly unique monovarietal wine from Casale Certosa. When you live in Rome, or visit, please try this with Carbonara or Cacio e Pepe as you will certainly fall in love! Roman cuisine: carbonara, cacio e pepe, carciofo all guidia. Depending on the vintage this wine will undergo up to a half day of skin contact. Although it gives the look of an orange wine there is not a prolonged soak, but it is worth noting that these grapes turn a golden color on the vine that certainly contributes to the color. After a natural ferment this wine will age on the fine lees a few months before bottling. Generally these wines are unfiltered and unfined.